In the context of the show—in this world of superheroes, supervillains, aliens and alternate realities, the writers have done an outstanding job with exploring current events. Coulson’s (seemingly) imminent death, his choice to accept it, and Daisy and May opposing his wishes brings up the topic of right to life vs right to choose. In this episode Daisy asks, “How are we still fighting Nazis, today?” It is question I (and I’m sure others) have asked a couple times this past year. Even Hale dealing with the gender inequality within Hydra seems relevant and important. I love that Hale has survived when all those that tried to diminish her worth are gone. It says something to female empowerment– though I wouldn’t want her to be the poster-woman for the movement. In this episode Hale talks about throwing out labels, like S.H.I.E.L.D. and Hydra. The world isn’t black and white—though dichotomies are presented as either/or. No one is completely good or completely bad—ignoring that isn’t healthy. There is always a spectrum, shades of grey to be considered. 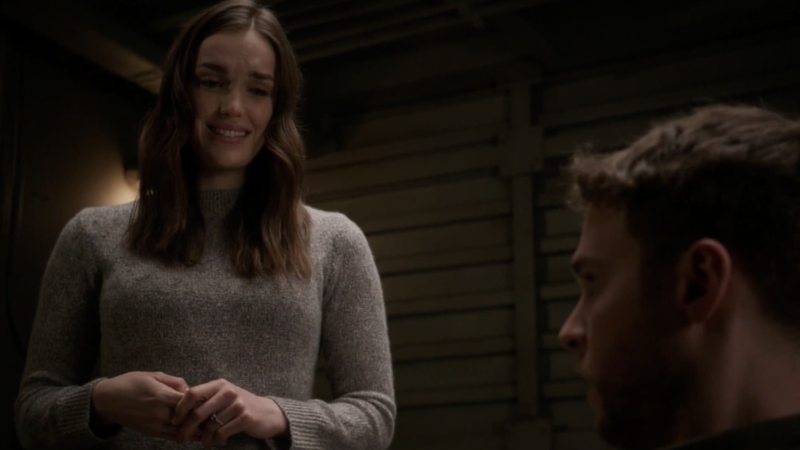 Fitz’s psychotic break last week is an example of two extremes being kept apart. 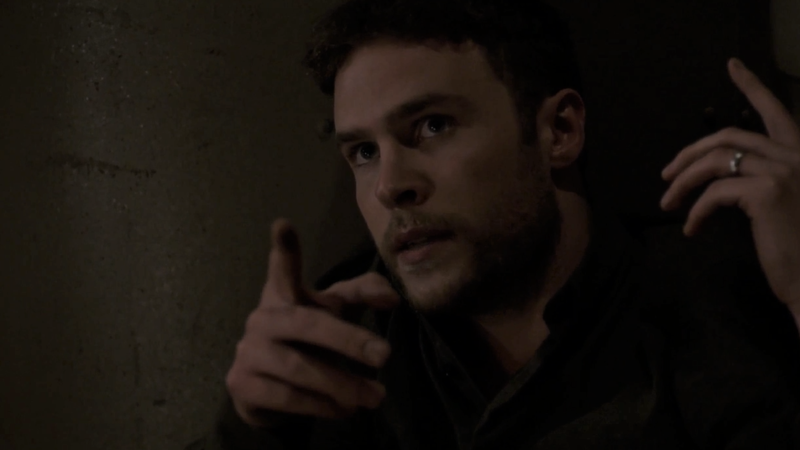 I’m not justifying what he did (I think there was at least time for anesthesia), but had Fitz acknowledged his darker side rather than ignore it, then maybe things would have worked out a little differently. The agents have only been reacting since they got out of the framework—there has never been a moment where they could a step back and reflect on what is happening and what has happened. I think a brief time-out for everyone could help them look at the bigger picture. Though that’s what Fitz is doing now while locked up. He points out that Daisy has done some things that maybe weren’t the best for the team– and he is right. The same could be said for all of them. This is the grey area; being right or wrong depends on where you are looking from. 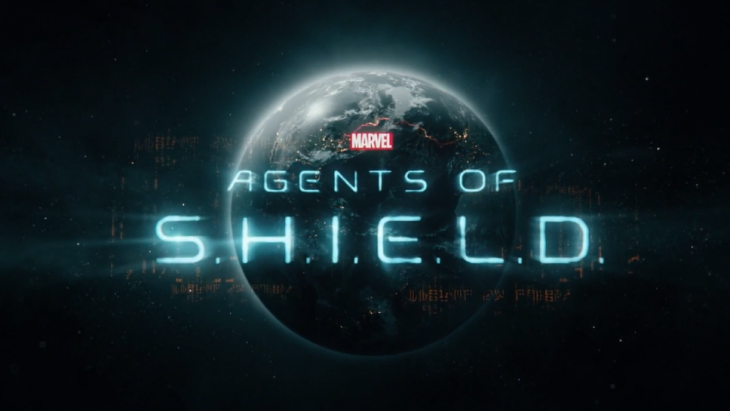 S.H.I.E.L.D. has been a beacon of good, the protectors of the little people; they claim to do what they do for the greater good. For the most part their moral compasses have been tried and true, but when talking about grey areas, where are the lines you don’t cross? How far are they going to go to save the world? Can they save it? Yo-Yo thinks she can’t die because she saw when she died in the future. Simmons knows she and Fitz work through it, because Deke exists. How can they pick and choose what will stay the same and what won’t? If they believe that, then isn’t their fate already written? I would think, assuming everything could change, that no one is safe, is the way to change the future. It seems like they are doing everything as expected and not even trying to alter the outcome. Then again, maybe I’m assuming it must be one way or another and not a little bit of both. 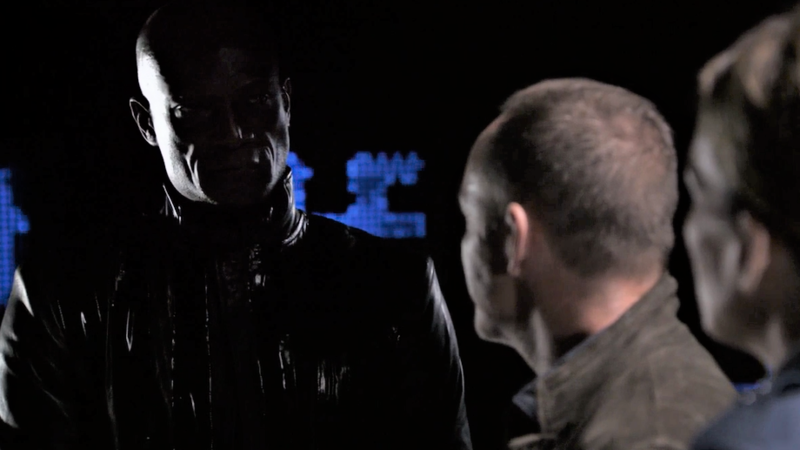 Hale tells Coulson, “It’s time for S.H.I.E.L.D. and Hydra to finally unite.” And it looks like they were going to until she mentioned Whitehall’s name for his super-soldier program: Destroyer of Worlds. 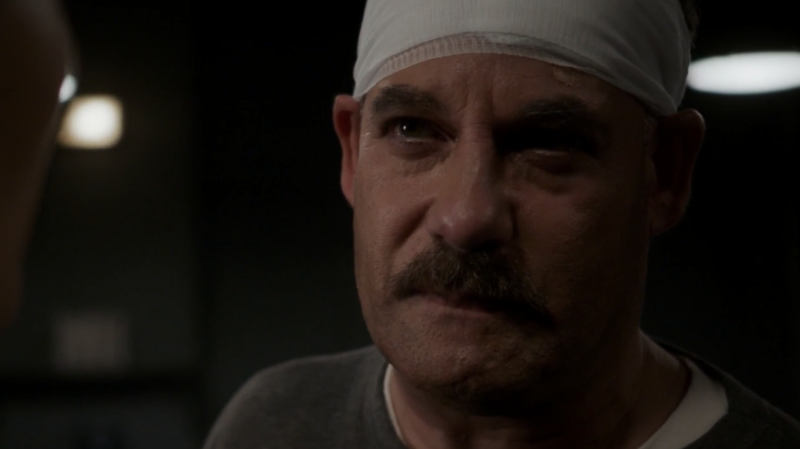 So, like I predicted—Coulson sees what might lead to Earth’s demise and Hale won’t listen. Okay, she talks to aliens, has a genetically engineered daughter, and is part of (well, one-half, right now) of a super shady organization, hellbent on ruling the world—but time travel is the step too far? Really? 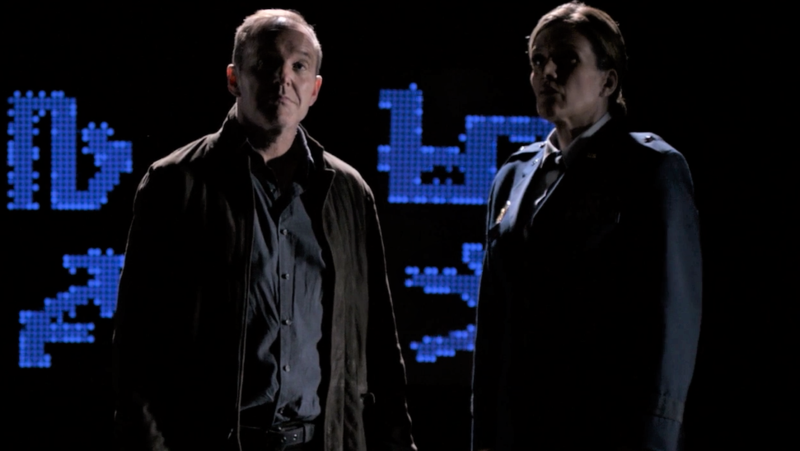 Ruby seems to believe what Coulson has to say, but I don’t think that will be to Earth’s benefit. I think she will be more determined now to get into the super-soldier chamber. I doubt that will be a good thing. What would be worse is if Werner Von Strucker went in. Though I like Ruby better for not killing her dog; I liked that she questioned the status-quo, she questioned tradition. Don’t get me wrong, she is still cray-cray, but a little better that she likes animals. Though, where is her dog now? I hope Coulson gets out of there (with Talbot—so glad he is alive!) and puts an end to Hydra once and for all. They should probably deal with the Confederacy as well. 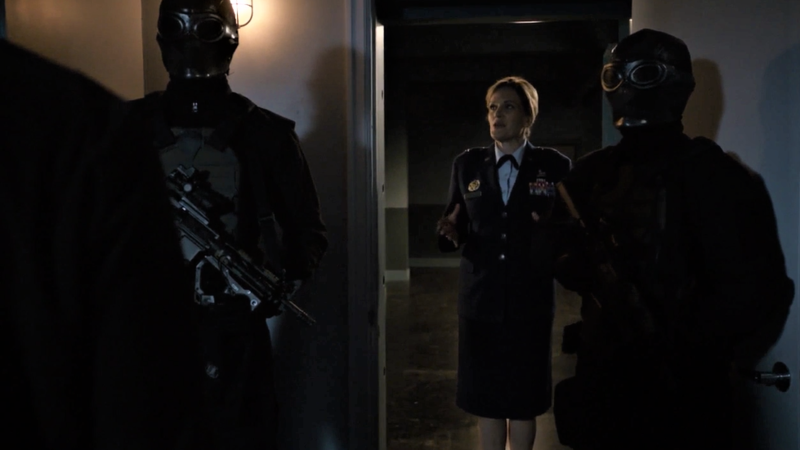 If they succeed, if there is no more Hydra, no more Confederacy—will there still be a S.H.I.E.L.D.? 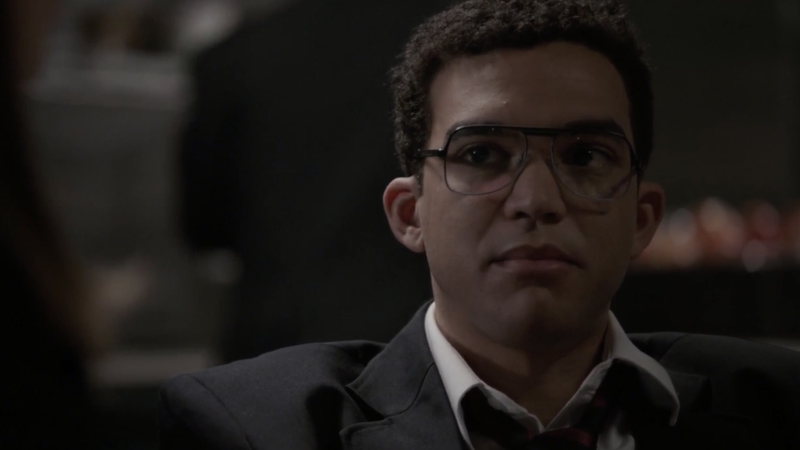 Finally—how perfect was the casting for teenage Sitwell? That might be one of the best things ever.